A business loan is an amount of money a lender such as a bank or alternative funding provider offers a business. The loan is then taken on terms provided by the funder and paid back over a period of time with interest. The type of business loan you apply for is likely to depend on your business circumstances and why you need the money. You can apply for a start-up loan to help get your business off the ground, a short-term loan to help ease cash flow issues, or a long-term loan to fund the expansion of your business, for example. What interest rate can you expect from a business loan? The interest rate on a business loan is largely determined based on an independent assessment of your circumstances. 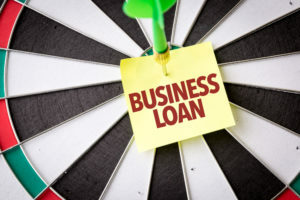 There are literally thousands of unsecured business loans available to business owners on the market right now with interest rates ranging from a few percents to over 10 percent, with large variants of rates due to the large marketplace. Arrangement fees are also another cost to be taken in to account with unsecured loans. An interest rate is the percentage of money a lender will earn back from the amount you borrow. So, if the interest rate is 7.1%, the lender will receive the amount you borrow back plus 7.1%. The annual percentage rate (APR) is simply the way lenders describe the cost of borrowing over a year. What’s a good rate for unsecured business loans? When you borrow money, you will pay back the amount you borrow plus the interest. It is the interest that allows the lender to earn money. This is how lenders make a profit from lending money by getting more back in return. With that in mind, if you borrow an amount between £10k and £500k for your business, an interest rate of 5 to 10 percent is typical. This is sufficient to allow the lender to earn money on the product while keeping your repayments affordable. Anything lower than 5 percent is considered exceptional. An annual percentage rate (APR) of 3.6%, for example, is very desirable. However, high-street banks rarely offer such enticing interest rates. For low, low rates, independent lenders are best. Nationwide Corporate Finance are a good example of such an independent lender. You’ll also need to make a decision about your loan for business term, which is the length of time that you have the loan for. This is likely to depend on what you need the small business loan for, and how quickly you think you’ll be able to repay it. Different lenders have different minimum and maximum loan terms, and the term you’re offered may depend on your circumstances. Gone are the days when you had to have business banking to get a loan from that bank. Credit cards are useful for short term borrowing but this is not a total fix as the interest rate will be high. Personal loans are an option if you are a sole trader and do not operate under limited company status. Peer to peer has long been around for companies to gain finance, with companies ties like funding circle this is an option worth checking out. How do lenders determine interest rates on business loans? The interest rate you expect to pay on a business loan depends on a few factors. Bank of England: The Bank of England sets the bank rate or base rate for interest, which directly influences the interest rates set by banks and independent lenders. If the base rate goes up, it is likely banks will also raise their loan prices. If the base rate goes down, then banks can lower their entry-level interest rates for new customers. Your credit score: Your credit score is a 3-digit number that determines how likely you are to be accepted for credit. The score is based on your credit history. A low credit score carries a higher financial risk for lenders, who then raise the interest rate accordingly. Loan market conditions: It is a fact that in times of uncertainty and financial turmoil, banks like to ‘shut up shop’ and reduce the amount they lend to new customers. This is achieved by either removing products from the market or raising interest rates. Loan term: Although this does not play a factor with all lenders, how long you want to take to repay the amount you borrow can influence interest rates. The shorter the period of the loan, typically the higher the interest rate will be with come lenders. With our Merchant Loan Advance Product, you get one monthly repayment schedule, want to know more? 1. View our website, 2. Complete the enquiry form, 3. One of our merchant cash advance team will contact you.